Washington, D.C. - October 20, 2009 - The Washington International Horse Show kicked-off it's opening day of competition with the professional hunter divisions at Verizon Center today. Scott Stewart shot to the top of theleader board with his mounts Declaration and Way Cool. Declaration took home three blue ribbons with Stewart during the Green Conformation Hunter division, while Way Cool and Stewart were awarded two blue ribbons in the First Year Green Working Hunter division. The Amateur-Owner Hunter divisions also got underway today, with Brad Wolf and Alex Paradysz claiming top honors over fences. The Green Conformation Hunter division was the second to be held today in the arena at Verizon Center. 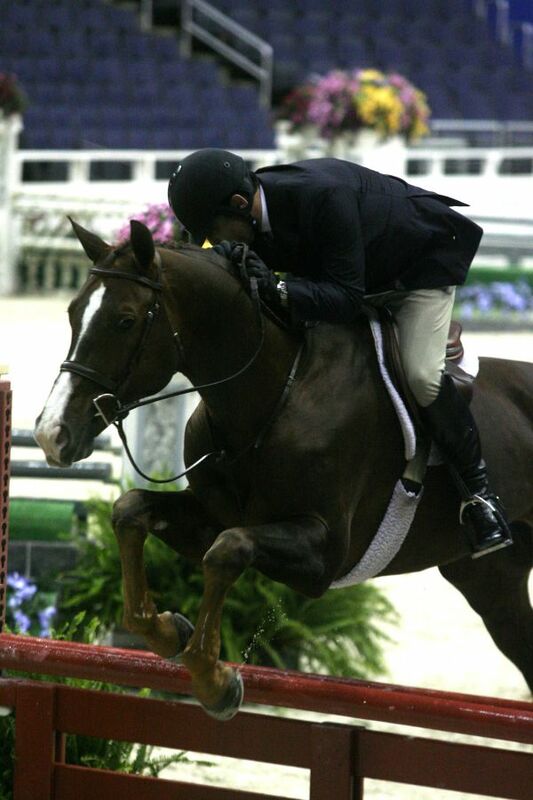 Stewart and Declaration, owned by Fashion Farms of New York, NY, swept the model and both over fences classes. Penelope Ayers and Ravens Wood Farm sponsored this year's classes, and following the final class Stewart and Declaration were awarded The Lisa A.H. Cudahy Perpetual Trophy. been in such a tight area. He was good, I was really pleased with him." The next division to be held was the Green Working Hunters, beginning with the First Year Hunters. Stewart, of Wellington, FL, was at the top of the callback list once again with Way Cool. 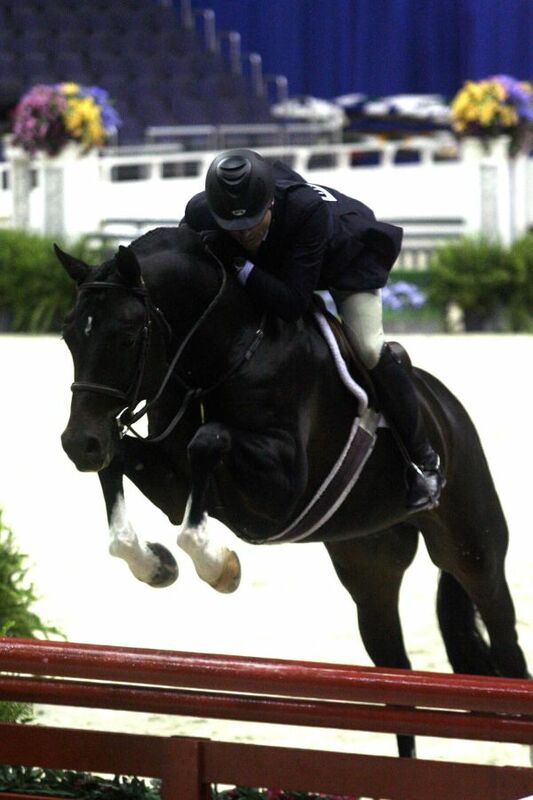 The pair claimed the blue ribbon in both of the over fences classes, sponsored by The Pryde Family. Stewart and Way Cool won The Robotyping Challenge Trophy and The Fairfax Hunt Race Association Challenge Trophy following the completion of the Second Year Green Working Hunter division for their excellent performance today. "I've had Way Cool since he was two-years-old and he's just turned seven," said Stewart. "I took a little extra time because he used to jump too high, like really high. He didn't do anything last year; he stayed in Florida and just got hacked lightly. He just started showing again in Florida this past season. He's cool because he really jumps hard and nice; he tries to jump perfect every time." Stewart did not show at the Pennsylvania National Horse Show Last week, and it was a plan that paid off. "Capital Challenge takes so much out of the horses," he commented. "It's a great horse show, but there's a lot of energy involved. I think the horses are fresh because they haven't really jumped since Capital Challenge; they are feeling a little happy about doing the jumping again." competed next, and it was Jersey Boy, owned by SBS Farms of Buffalo, NY, and Jennifer Alfano who took the top prize in the handy class, by completing a flawless round, besting John French and Overseas who placed second. Alfano was presented with The Burling Challenge Trophy for her stellar ride. 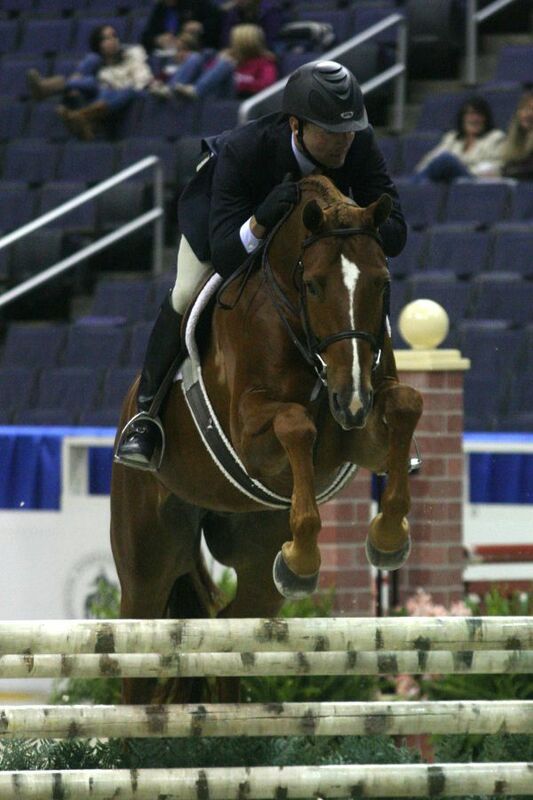 The Amateur-Owner divisions were last to show during the day performance at the Washington International Horse Show. The Amateur-Owner 18-35 Hunters competed first, with Alex Paradysz, of Mill Neck, NY, and Late Entry winning the blue ribbon over fences. During the Amateur-Owner 36 & Over Hunter division Brad Wolf, of Memphis, TN, laid down a perfect trip with Andiamo to earn the top call. Kim Davis and Rustica Farm sponsored all of today's Amateur Owner Hunter classes. Wolf was somewhat nervous about competing today, because he knew Andiamo can get nervous at indoor shows, but the pair had an excellent day. "Andiamo felt great, he was well prepared and really calm," smiled Wolf. Andiamo is a new ride for Wolf, who just purchased the gelding this year. "I saw him three years ago when he was champion at Devon in the Working Hunters with John French, and I fell in love with him," he explained. "I've always watched this horse and I've wanted him ever since. We heard he was for sale at the end of Florida and I was really excited." After Indoors Andiamo will have two months off, but he will then continue on and compete at the Winter Equestrian Festival with Wolf. Next year, Wolf's goal is to qualify for the Devon Horse Show. Grand Champion Amateur-Owner Hunter, and the Leading Amateur-Owner Hunter Rider. The show runs through Sunday, October 25, and will conclude with the presentation of the Grand Champion Pony Hunter prize and the Best Child Rider Award. Photo Credit: Scott Stewart and Declaration took home three blue ribbons for their excellent performance during the Green Conformation Hunter division. Photo By: Rebecca Walton/PMG. Photograph may be used only in relation to this PMG press release. Photo Credit: Scott Stewart and Way Cool were awarded The Robotyping Challenge Trophy and The Fairfax Hunt Race Association Challenge Trophy, after winning both of the First Year Green Working Hunter over fences classes. Photo By: Rebecca Walton/PMG. Photograph may be used only in relation to this PMG press release. Photo Credit: Brad Wolf and Andiamo took home the top prize during the first Amateur-Owner 36 & Over Hunter over fences class. Photo By: Rebecca Walton/PMG. Photograph may be used only in relation to this PMG press release.